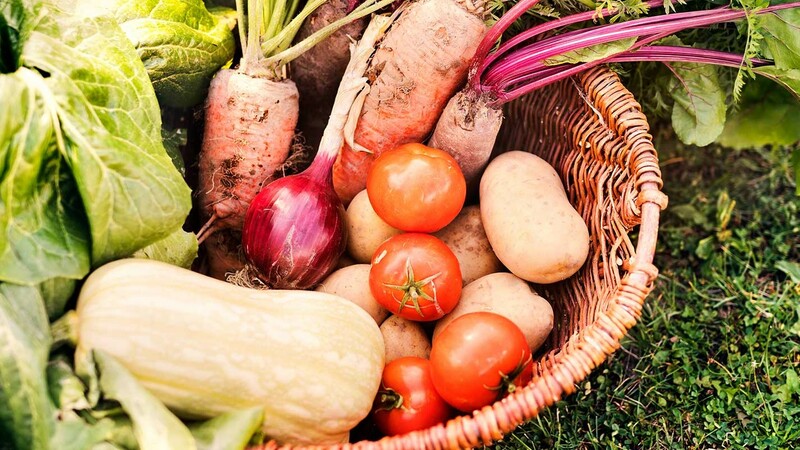 If you would like to have an attractive and productive garden which doesn’t cost a packet and which allows a wider range of choice than is available with buying seedlings or potted plants, starting from seed is a good strategy to use. When nature produces plants that set seed, it usually means that this is the best way for the plant to reproduce. Of course, not all plants can be propagated by seed, but it might be worth having a go with those that do. Because seeds are small in comparison to seedlings, they take up little space and don’t weigh much so can be easily supplied by post and available via online catalogues you can choose from an extremely wide selection of seeds with particular properties such as heritage/heirloom varieties or organically grown. For around the same sum of money it is possible to obtain a large number of seeds for the same price as a punnet of seedlings. And, if stored properly, they can be sown in successive years – something not possible with seedlings. Plants grown from seed sown directly in your garden soil will not suffer from root disturbance. Purchased seedlings often have quite extensive roots crammed into small punnets so that they must be teased out and are often broken when transplanted. If you sow seeds in trays you have control of transplant timing so root disturbance can be minimized. And after germination, the plants will be in a constant environment and not subjected to different sunlight and watering regimes which seedling punnets experience. Ideally, soil should be broken up and fine to allow easy penetration of young roots. So, dig compacted soil and add compost. This will provide organic matter which conditions the soil and allows slow release of organic nutrients. Alternatives to help aerate the soil and retain moisture are coir (coconut fibre), vermiculite or perlite. Coir has the advantage that it is a waste product from coconut harvest, while the others are mined inorganic materials which have gone through manufacturing processes which probably require more energy than coir production. Some seeds require special treatment before sowing. Many ornamental plant seeds are in this category, so read up on it first and the likelihood of success will be much greater. Damage to the outer coat prior to sowing, to break down natural inhibitors of germination. Wattle seed, for example, needs to be soaked in boiling-hot water to soften its seed coat. Treatment with smoke – to mimic bushfire, as is the case with some Australian native seeds. Smoke water is now sold in nurseries, especially native plant nurseries. The seeds are soaked in this water prior to sowing. The smoke breaks down the chemical inhibitor in the seed coat. Soaking in warm water for a few hours immediately before planting e.g. peas, carrots and parsley – some seeds sprout in a few hours. Sturt’s Desert Pea (Swainsona Formosa) for example, germinates very readily after soaking in warm water. Physical damage of the outer coating with, for example, sandpaper or a knife. Some gardeners recommend pre-sprouting vegetable seeds indoors on moist tissue or kitchen paper in a container. When the first root appears, the seeds are carefully removed and put in soil. On packets of seeds, there should be instructions on how to sow. There is certainly plenty of information on the web and in books on sowing a wide variety of vegetables, herbs, annuals and perennial seeds. Some seeds germinate on the surface and some won’t germinate until well-covered. A general rule of thumb here is that the finer the seed, the closer to the surface it is sown. Generally, planting at twice the width of the seed is best. If planting several types of seed in the same bed, to ensure that they all get adequate sun exposure, sow those which grow tallest at the back. You may wish to plant seeds in furrows in rows and then cover with soil – do not compress it but press lightly. It will be easier to plant very fine seeds if they are first mixed with sand. It is possible to buy some very small seeds spaced at appropriate intervals on tape – or you can make you own by mixing seeds with a stiff mixture of corn starch and putting dollops of it on tape. Cover a row of seeds with a piece of wood, shade cloth or plastic until the first leaves appear. 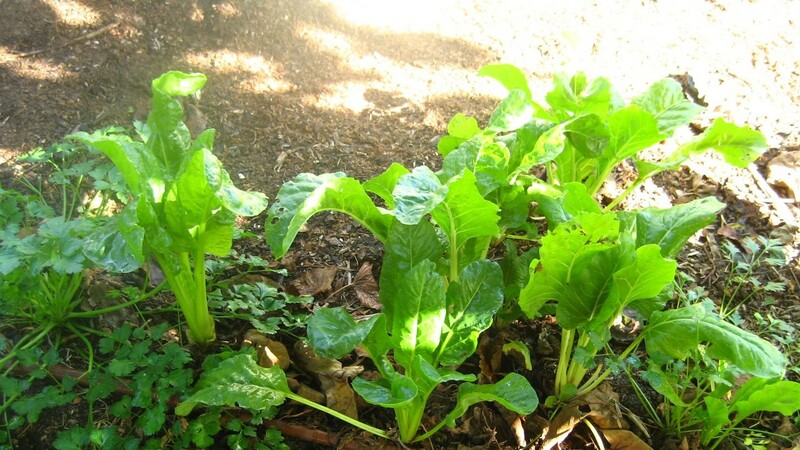 Use a layer of very fine mulch which will absorb moisture and minimize evaporation. Sow seeds near irrigation lines. If you are raising seedlings in punnets or pots, place a clear cover e.g. plastic, glass over the top to prevent evaporation until you can see growth. Once leaves appear, water with a fine spray until plants are about 1cm high. Many birds like disturbing soil to look for food such as seeds and also like to eat newly emerged seedlings. It may be useful to place cages made of fine wire or mesh over seeded areas. 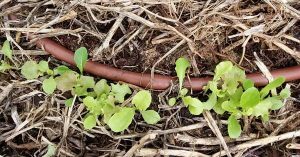 Emerging seedlings are prime targets for these creatures (see our information page on snail and slug control). Damping off (Fusarium sp) disease is a fungal disease caused primarily by over watering. A sure sign of the disease is when seedlings start falling over, one after the other. This can often be prevented by not overwatering and watering in the morning so that soil does not stay too wet. If disease occurs, it’s wise to start again, thoroughly cleaning all equipment and composting the infected seedling raising mix. Seedlings can be drenched with a weak copper fungicide solution too. Check that plants emerging from rows are not too close. You might use tweezers to pick them out if you have fat fingers. If the plants are edible e.g. lettuce, beetroot, you could eat them. Some might even be able to be transplanted – but remember they will suffer a little from the disturbance. If you are growing organic, heirloom or non-hybrid seeds you can save some from your own mature plants and use them for future sowings. (Don’t save seeds from plants grown from hybrid seeds as they have been bred from 2 specific varieties and will not breed true, or may not grow at all). 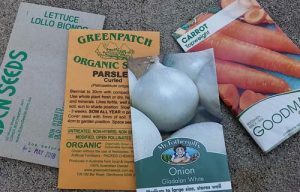 Store seeds in labelled paper bags, in a dark, dry cool place.